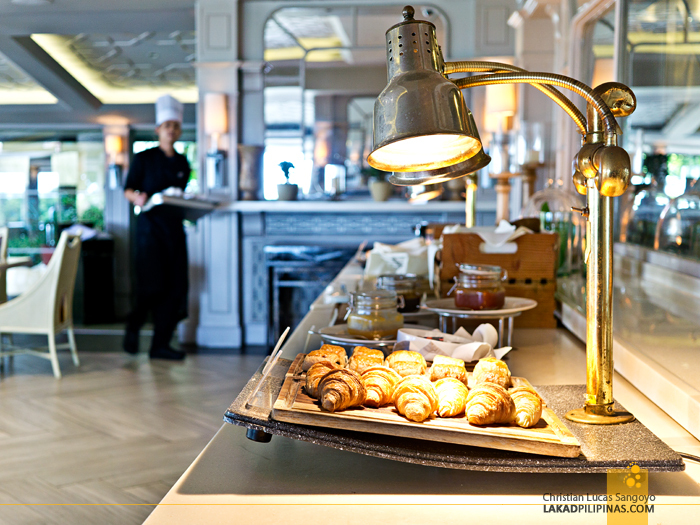 A spread of eight sumptuous dishes were laid on our table for what was supposed to be a simple brunch. Yes, there were also eight of us—one for each—but the problem was each serving was almost good enough for three persons. 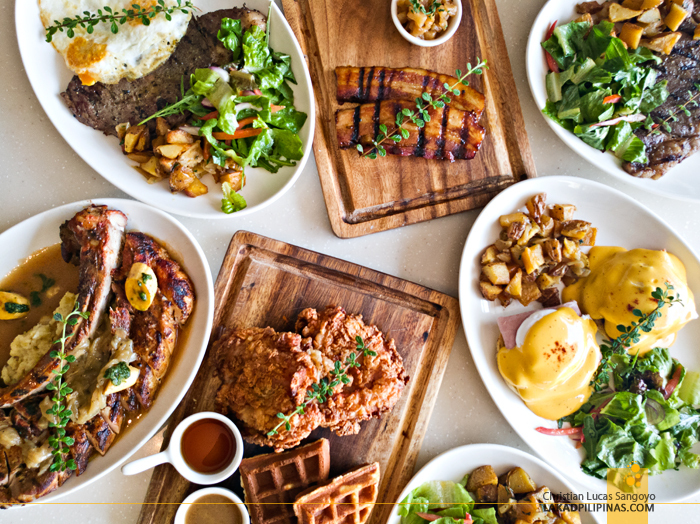 We’re stumped on how we’d finish everything! 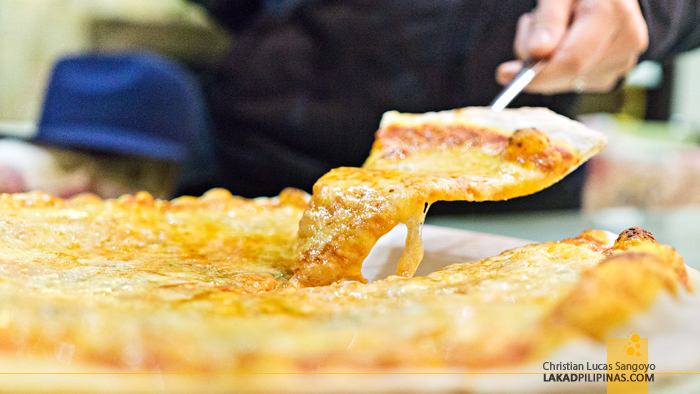 We definitely have one deliciously huge problem on our table. With traveler friends in tow, we headed off to the highlands for the long weekend. 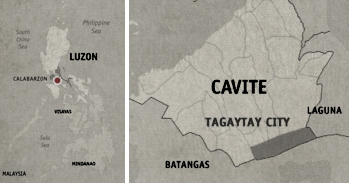 While we have only the vaguest Tagaytay itinerary, what’s clear was that we’re gonna eat. A lot. 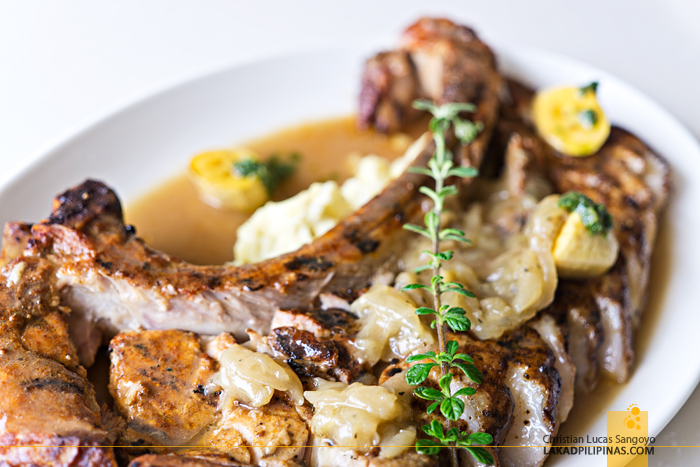 Billeted on one of the three Lakeside rooms of Taal Vista Hotel, we did nothing that weekend but cram our tummies full—a food binge worthy of the seven deadly sins. And we didn’t even have to go out of the hotel to commit it too. 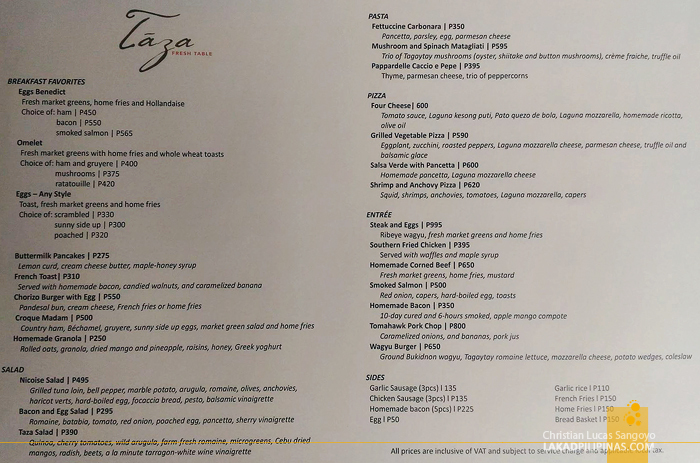 Besides a grand view of Taal Volcano, Taal Vista has three restaurants (open even for non-hotel walk-in guests) along its pine-laden grounds. 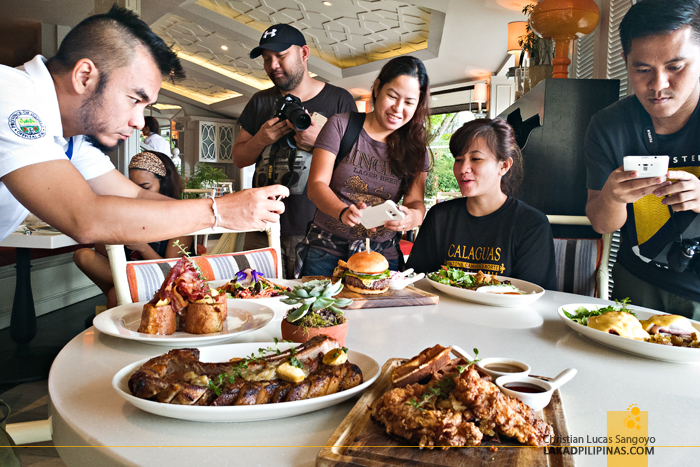 Armed with knives, spoons, forks, and cameras, we were able to sample each of their restaurants offerings and specialties. 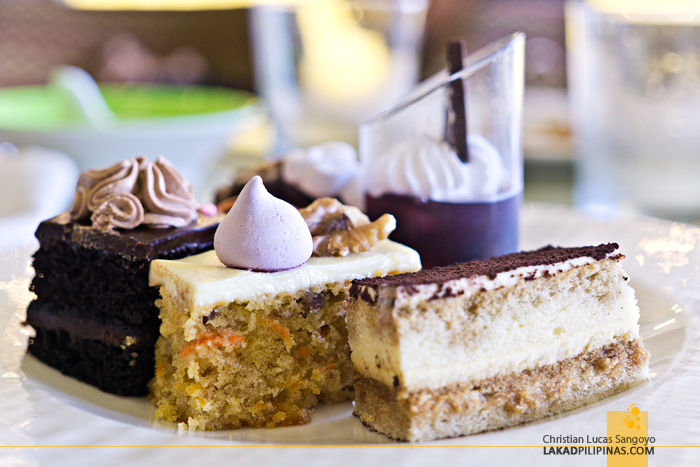 Suffice it was to say, we went more than a few pounds heavier on our ride back home to Manila. 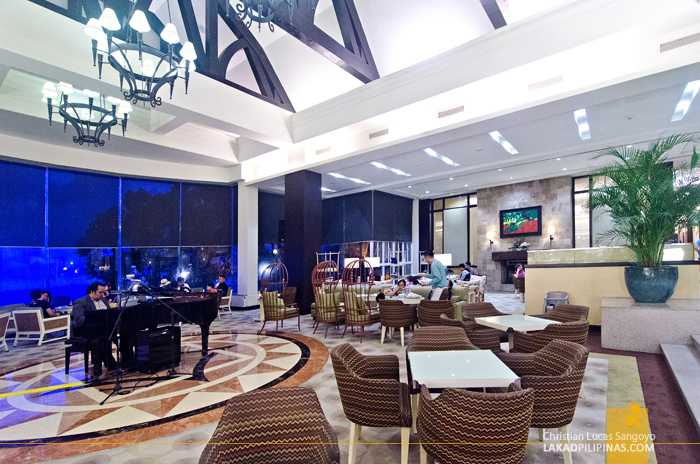 Our food adventure in Tagaytay started at midnight at the hotel’s Lobby Lounge. It took us longer than usual to reach the city from Manila due to the weekend traffic, but it was all worth it as we savored the evening’s chilly weather right by the dining hall’s warm fireplace. 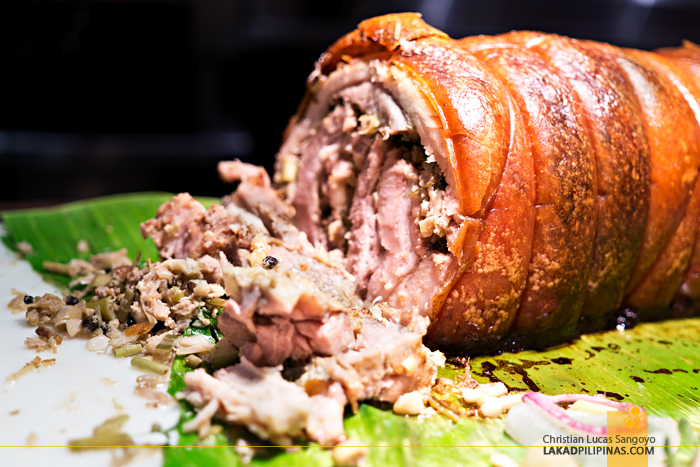 As its name implies, the restaurant is set right by Taal Vista’s Tudor-inspired lobby. 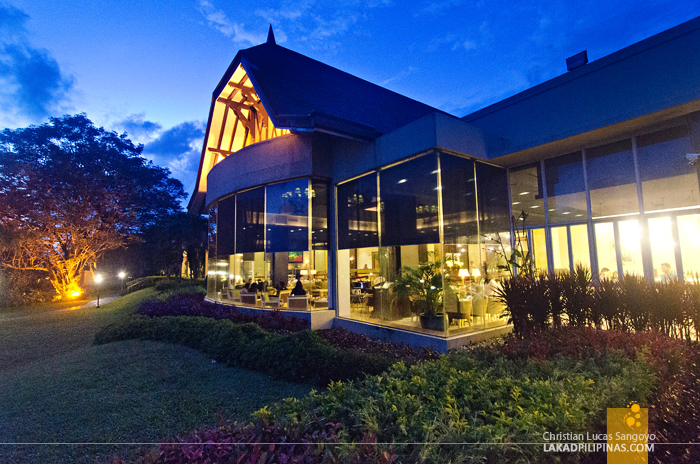 During the mornings, its floor to ceiling glass windows look out over an expansive lawn with the Taal Lake beyond. 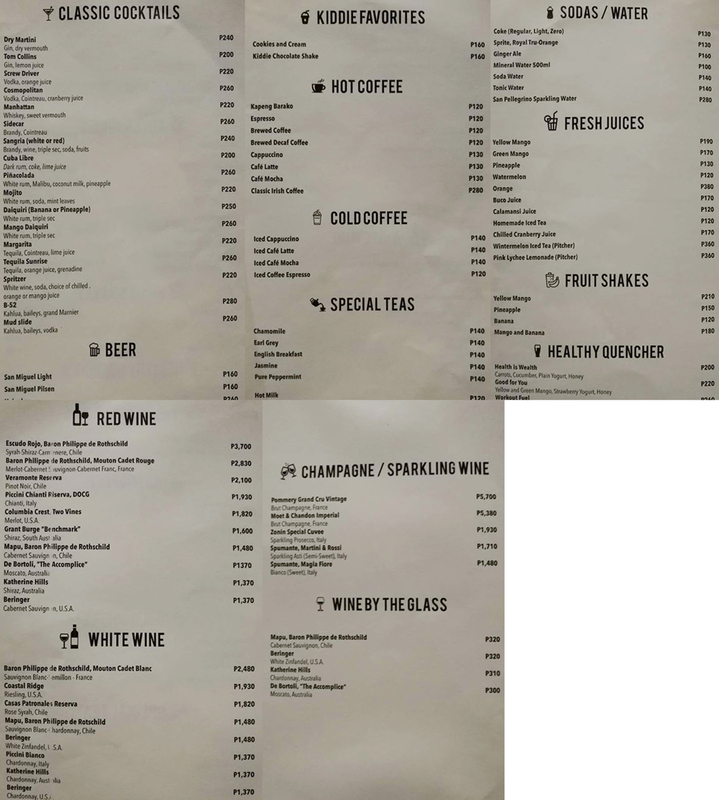 Besides serving drinks and cocktails, they also have a food menu that range from the usual Filipino dishes like lumpiang ubod to very Western ones like burgers and pizzas. 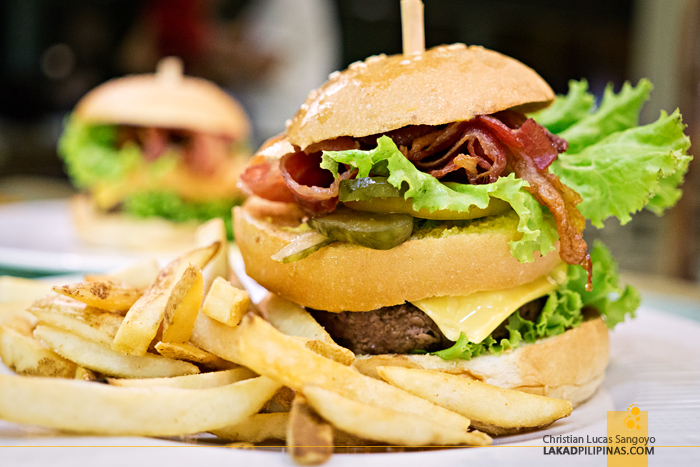 MUST TRY, LOBBY LOUNGE’S CLASSIC BURGER. ANGUS BEEF WITH BACONS AND CHEDDAR. 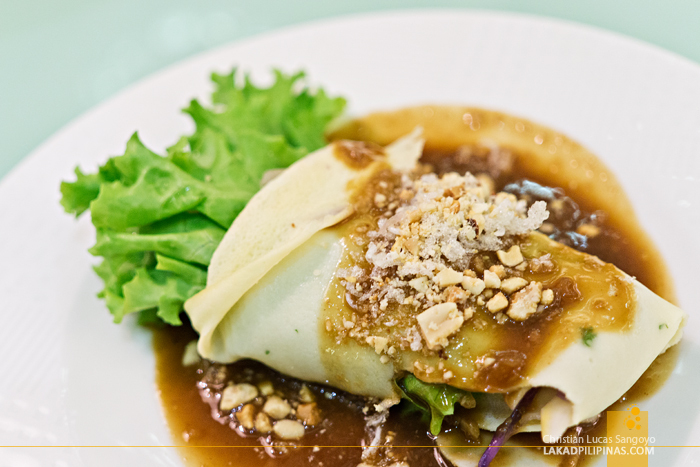 LUMPIANG SARIWA, MIXED VEGGIES WITH PORK AND SHRIMP. ANOTHER MUST TRY. Veranda was the restaurant we usually wake up to during our Taal Vista stay as this is where they hold the daily complimentary breakfast buffet for hotel guests. 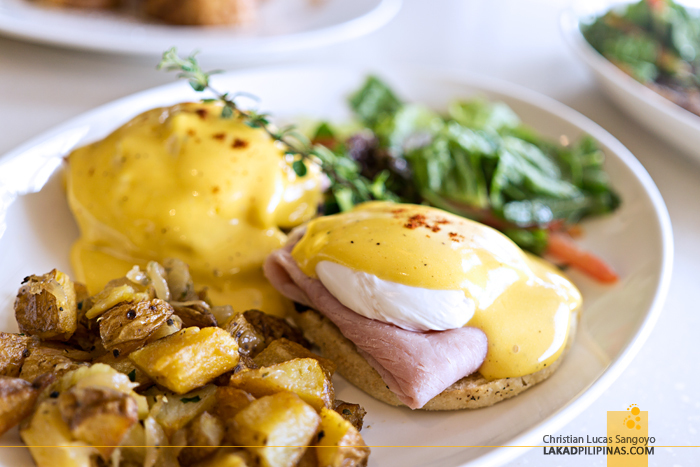 The flood of Continental and Filipino fares doesn’t end at breakfast though, the feast goes on the whole day! 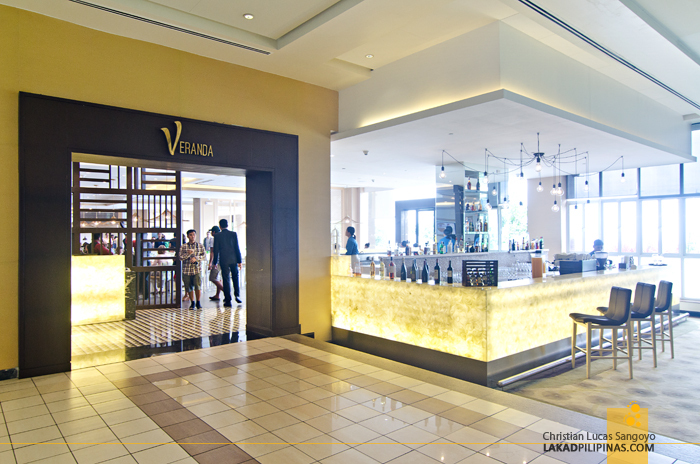 Veranda also serves buffet during lunch and dinner, every single day of the week. 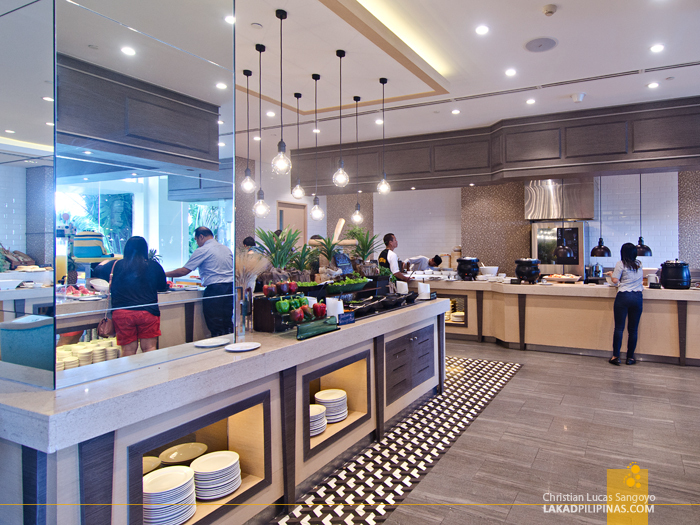 If you’re looking for buffet in Tagaytay, this is definitely the place to head over to. 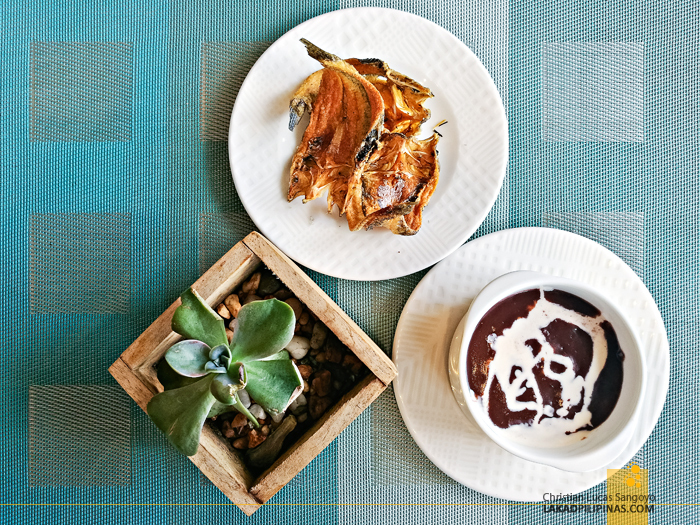 Located at the ground floor of the hotel, right beside the Lobby Lounge, its has a lovely interior set with machuca-esque tiles and dainty furniture. 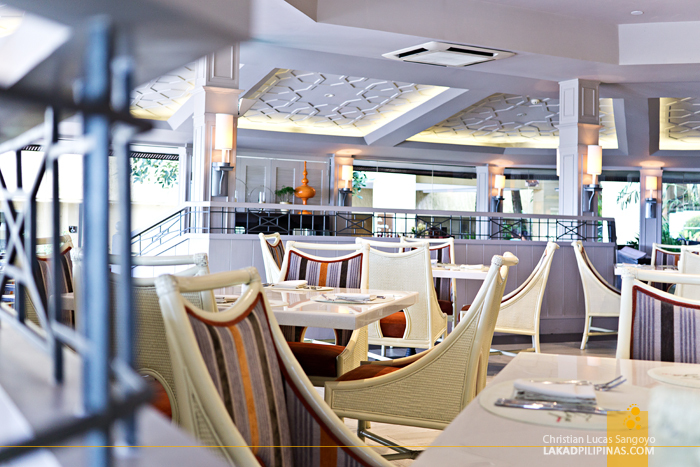 There are outdoor seats overlooking the lake, perfect for Tagaytay’s chilly mornings. During our stay, I even noticed a roving musical trio performing from table to table to the delights of the diners. On weekends, they have cultural presentations right on the dining hall itself. 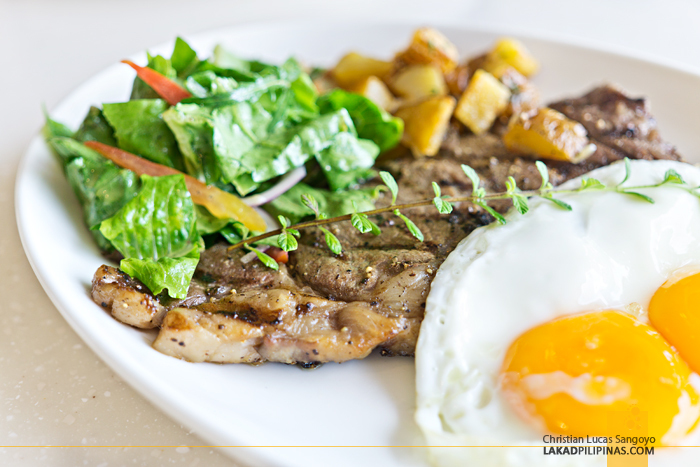 Our best meal at Taal Vista came from their TĀZA Fresh Table restaurant. 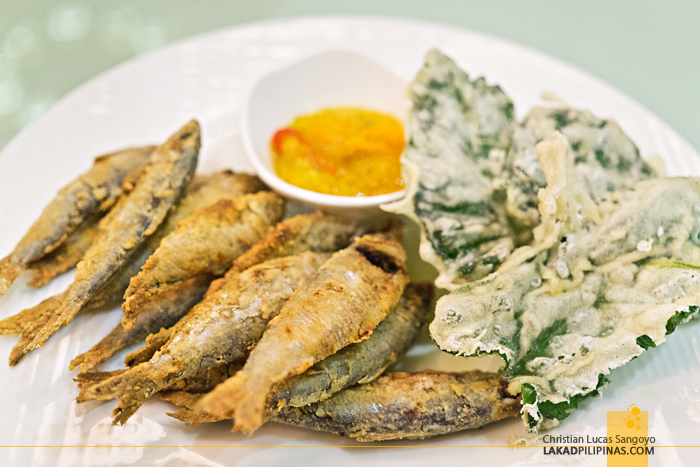 Located on a small stand-alone structure along the gardens of Taal Vista, its seating capacity might be far limited than the two previous restaurants but its food choices more than make up for it. 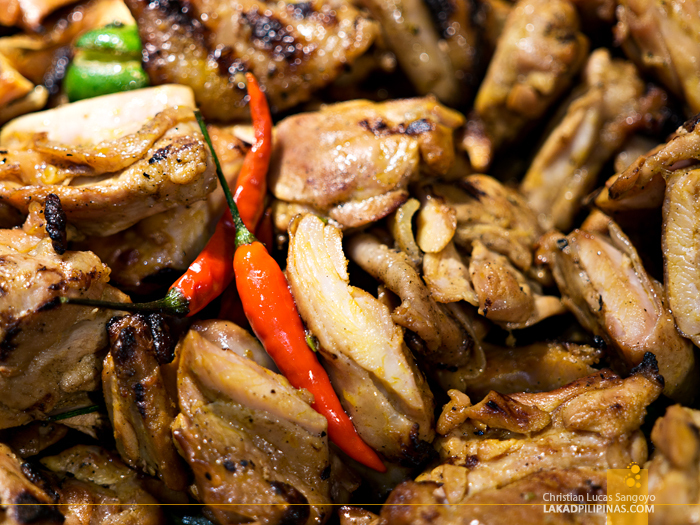 Its name came from the word taaza, an Arabic term which means fresh. And it’s one of the things TĀZA prides itself with. 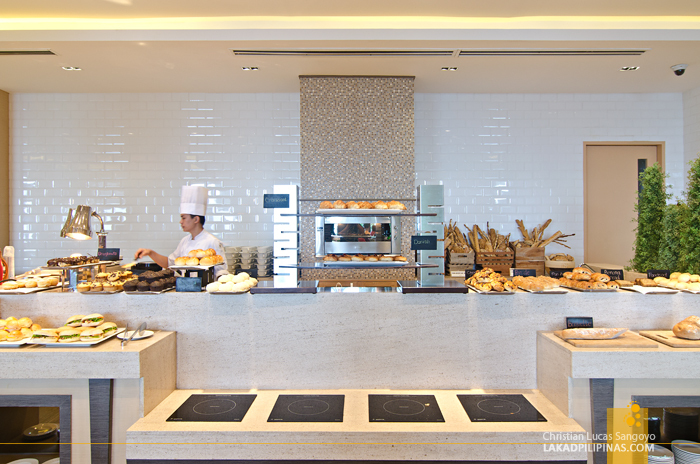 The restaurant sources most of its ingredients from local suppliers and uses fresh-from-the-garden herbs, spices and vegetables. 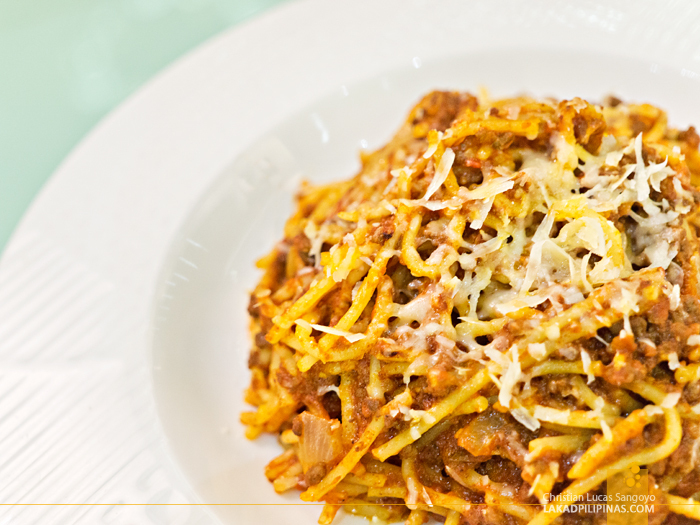 They serve mostly specialized International dishes that range from slow-cooked meats to handmade pastas. 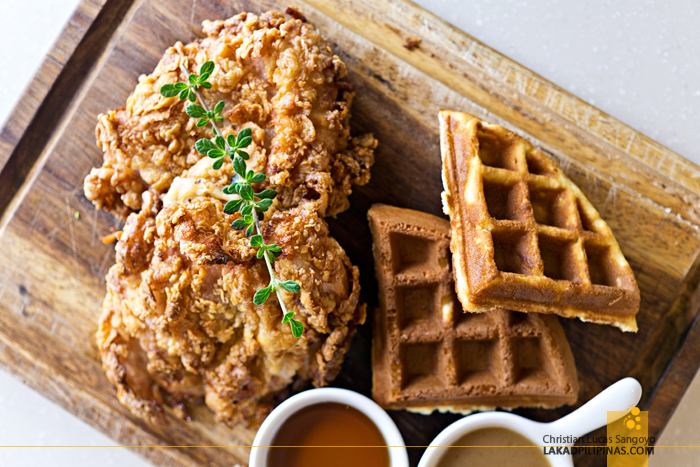 TAZA’S SOUTHERN FRIED CHICKEN IS ABSOLUTELY DELICIOUS! MUST TRY. 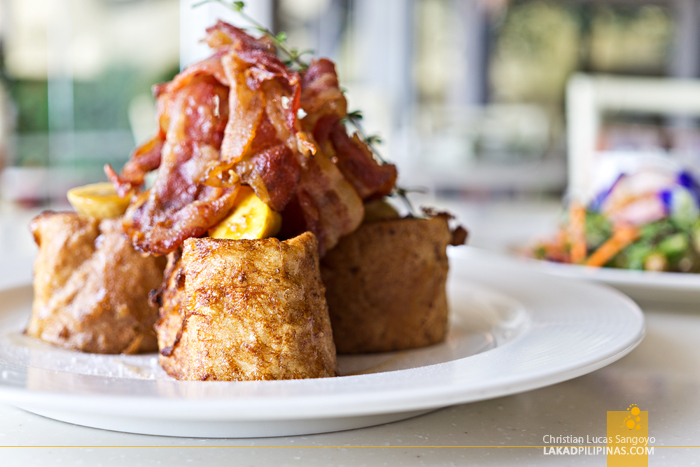 AND THEIR FRENCH TOAST IS MORE LIKE A BACON TOAST! 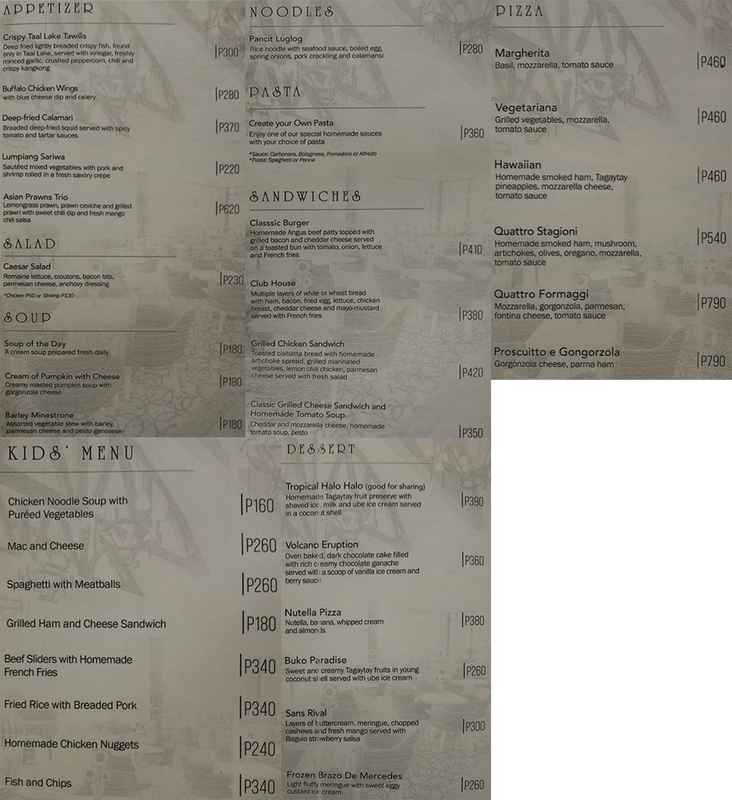 ~ TAAL VISTA HOSTED OUR MEALS. VIEWS & OPINIONS, ALL MINE. Ka-miss yung Southern Fried Chicken! And yung burger!!! Definitely! Even if the price is on the high side, it's definitely worth it.